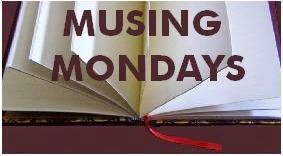 Monday Musings #11: how to buy a book! I am still currently reading Fast and Loose, but I put it aside for a bit to finish Hush Hush by Laura Lippman. 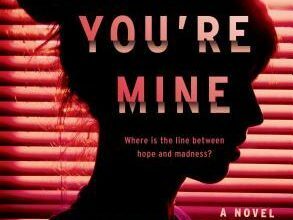 It’s a book in the Tess Monaghan series and tells the story of Tess’ investigation into a murder — the catch is Melisandre Dawes, the suspect, killed her baby daughter years ago and everything about Melisandre rubs Tess the wrong way. Given she’s a new mother, that’s understandable. But the thing is I ended up enjoying Melisandre more than I did Tess, I think perhaps because I didn’t know much about Tess and would have had to read 11 books previous to get to know her lol. Up next I’m going to finish Fast and Loose soon and then head onto The Pocket Wife! Buying a book, I would take the easy way out and get them a gift voucher 🙂 But if I had to figure it out I’d go the subtle AKA way-too-obvious questions to figure out what to get them. Or observe what they watch on TV, it can be a good indication of what to get people. 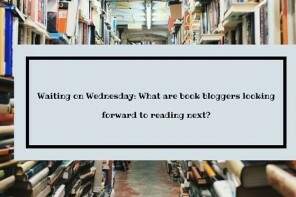 Previous articleMonday Musings #10: hardcover? paperback? What gets you going? Next articleFollow Friday #1: better late than never! WOW: Who Killed Sherlock Holmes? Now I’m really curious though, what made you like a woman who killed her infant baby more than the main character in the book? It’s so odd when you end up liking “the bad guy” more than the main character.. I’ve done that a couple of times too, and it leaves me with an odd feeling of dissatisfaction, since the bad guy rarely gets a happy ending, and I want my favourites to have one. Hi! I think I liked Melisandre more because there was more of a back story to her than there was for Tess. The book wanted to contrast the two characters as mothers and that worked to an extent, but because this was book 12 in a series, I didn’t know Tess’ background, whereas I was learning Melisandre’s. But aside from that, I started the book convinced that Melisandre would come out as innocent (I think I did turn her into the good guy in my head), that there had to be something about her that was a twist in the tail — but she’s manipulative and plays everyone to her advantage, which makes her a far more interesting character. We learned about her through everyone, including police interviews in the past, so I got a more complete picture of her than I did Tess, which made me like her more, despite what she did. Perils of reading book 12 in a series I guess! Thanks for reading! I, too, am a big user of the subtle AKA way-too-obvious questions. Haha! Whenever i try to be subtle and sneaky, I never am lol! Thats why I usually settle for the trusty GC! You and I think alike. Gift Cards rock. I also use gift cards….that seems to work. I loved Hush Hush and The Pocket Wife. Enjoy! They do, at least you know the person will be happy! I’m on to Pocket Wife next week! Taste in books is definitely personal. I know I’d rather have a gift card rather than someone guessing but also because I wouldn’t be able to bear telling them I didn’t like the title they went to all the trouble to choose for me. Hush Hush sounds awesome! There’s a YA book of the same name so I was a bit confused at first. This one looks like a great book to add to the TBR! Buying books for people is pretty personal, and I would go the easy route and get them a gift card. Quick and simple and they get what they want!